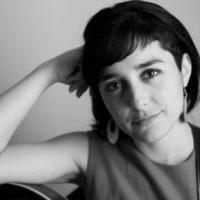 Join WKCR this Wednesday September 3, from 6-9 PM, when we will be joined by singer and guitarist Camila Meza. In her five years since moving to New York from Santiago, Chile, Meza has made waves with her original music which weaves jazz with Latin American influence as well as elements from contemporary and popular music. Gifted in both composition and improvisation, she has released three albums under her own name and has played live at venues such as Jazz Standard, Village Vanguard, Blue Note, Smalls Jazz Club, The Jazz Gallery and Rockwood Music Hall. In addition to selecting the music for the evening, she will provide insight into her unique and ongoing story, and perhaps will even play a few songs live on air. Listen!